As we all know, the River Thames is one of the world’s most iconic rivers and a beloved feature in Putney, especially due to our very active rowing community. 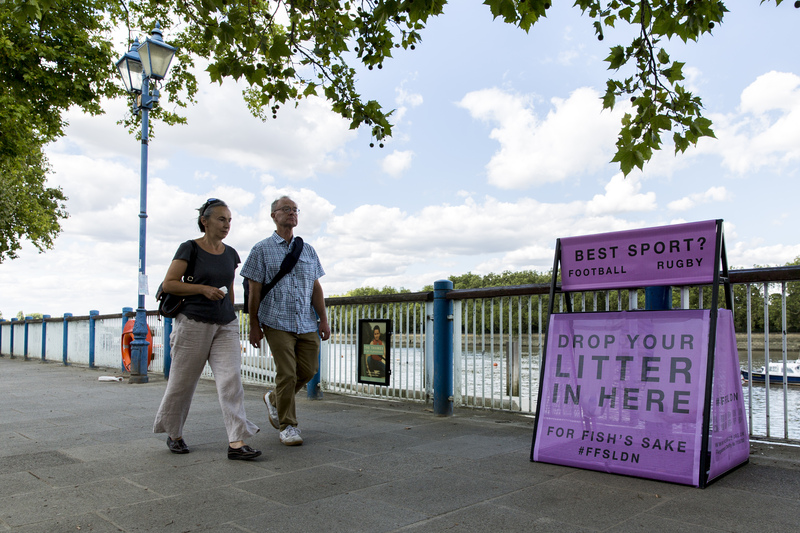 Putney is home to runners, cyclists, dog walkers, offices and a thriving rowing community but with such high footfall, it’s no surprise that litter ends up on the path, and in the river. In fact, 115,000 non-biodegradable wipes have been pulled from one targeted clean-up site along the river. Very regular litter picks by many community groups are what’s keeping the paths looking tidy, however putting in measures to prevent this from happening is critical. 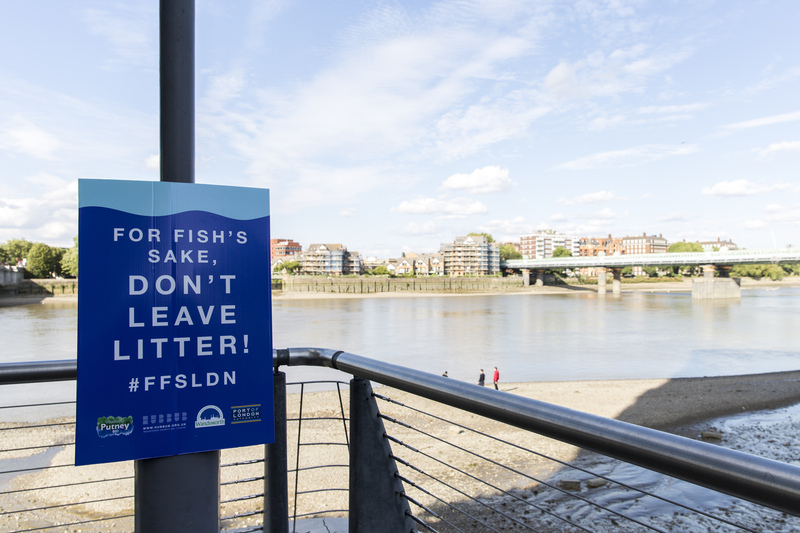 It is also essential to save our 125 species of fish in the Thames from getting litter in their gut. 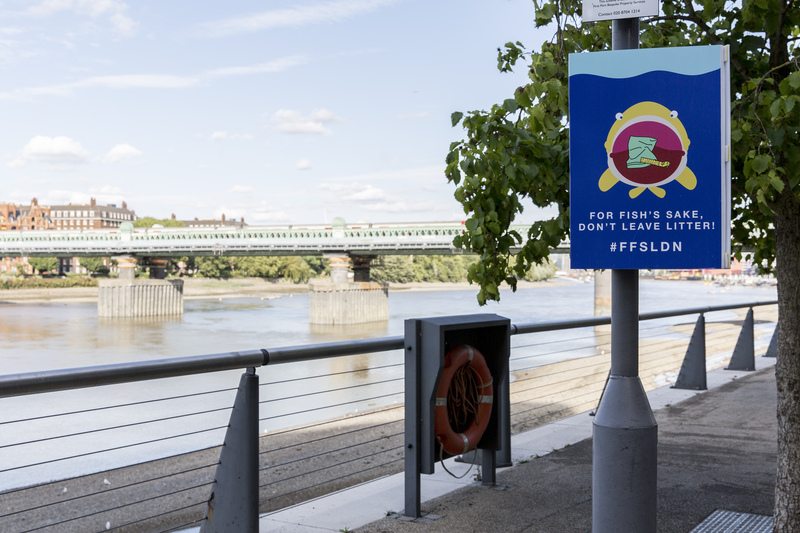 Following on from the successful pilot in 2017 where litter reduced by 32%, #FFSLDN is landing in Putney this summer to nudge people to stem the flow of litter into the river. 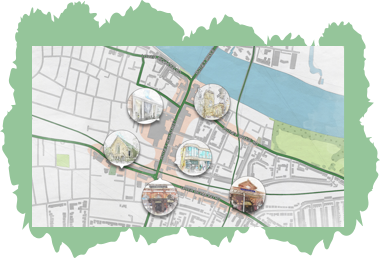 The campaign is a partnership project between Hubbub, the Port of London Authority, Wandsworth Council, and Postively Putney BID. The campaign is bringing some old favourites to Putney such as fishy-themed floor art, a community gallery sharing the stories of people who live in Putney and are involved with the River Thames, voting bins asking some VERY topical questions and many more installations to come in September and October. The campaign will raise awareness about what we call ‘tidy littering’ through workshops for businesses in Putney which are being held in October (keep an eye out on our training workshop page). But what can you do to get involved to protect and cherish Putney Embankment and the River Thames? Make sure you are using the bins provided in the area, not the gutter, not the river and not the pavement. If you see some litter and you are near a bin, make a conscious effort to try and pick it up. And finally, if a bin is full, find one that is not overflowing or take your litter home to throw away. © Putney BID 2017. All rights reserved.